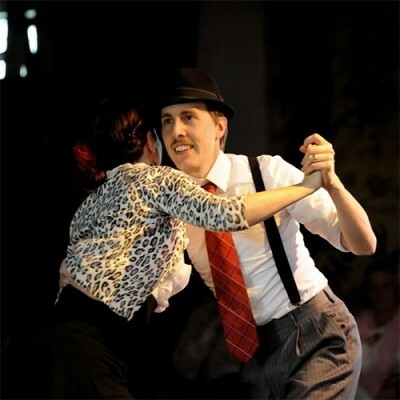 Joe DeMers is an international champion Swing Dance instructor from Denver, CO. He has toured the world teaching and performing from South Korea to France, Australia, Canada, Israel and all over the US. He has choreographed for and performed in many theater productions, including SWING! the Musical, In the Heights, and Hairspray. Joe is the 2015 National Dance Teacher of the Year, teaching high school dance in Denver Public Schools as his day job. Reach them at http://www.ShaunaAndJoe.com, ShaunaJoeDance@gmail.com, or (303) 931-1246. This workshop will give students tips for staying in character, singing, and dancing! We'll sing a number from a popular musical and learn a choreography to bring it to life.